The Experts is an exclusive group of industry and thought leaders brought together by the Wall Street Journal to comment on issues raised in Journal Reports. In May 2014, BCG’s Iván Martén weighed in on several issues. 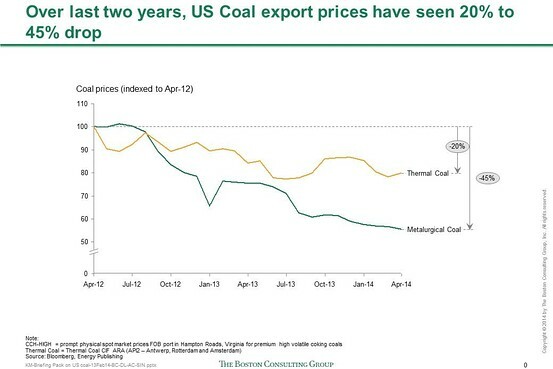 The U.S. coal industry has faced economic challenges in recent years, and forecasts indicate that price relief will not come in the near future. At home, the near-term market remains challenging. Increasing natural-gas prices and a cold winter helped to sustain domestic demand for coal in recent months. In fact, in 2013, coal consumption increased slightly—by 4 percent relative to 2012—as a result of increased demand for low-cost electricity from coal-fired power plants. However, coal consumption remained 8 percent below pre-2008 levels. Moreover, the full impact of planned coal-power-plant retirements on domestic demand has yet to be felt, so a further reduction in domestic demand for coal is coming. Additionally, coal producers have faced declining productivity over the course of the last two decades, for two reasons: the exhaustion of the most productive reserves, and increasing regulatory burdens that drive additional complexity and cost into mine operations. Generally, coal producers have been resilient in persevering through economic challenges, with many producers continuing coal production despite loss-making market prices. To prepare for success in the recovering market, producers have three key imperatives: to optimize the profitability of current contracts, to prepare operations to adapt to regulatory and technology challenges, and to adapt marketing and sales execution to benefit from market improvement. To the extent that coal producers have some remaining profitable long-term contracts, efforts to reduce operations costs and mine footprint to maximize profitability can be an important source of near-term profits. Additionally, as regulatory requirements continue to evolve and as new technologies enter the market, having a flexible operation that can react to and incorporate the changes rapidly, with a minimal cost impact, will be necessary for future success. Finally, using new sales arrangements and contracts—not long-term fixed-price arrangements—will be required for coal suppliers to benefit from improved margins and will be important to financial recovery when the market allows. 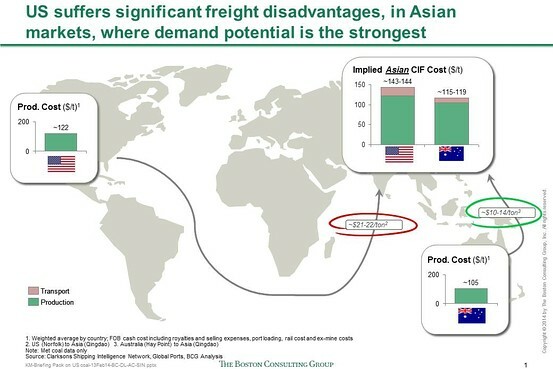 Despite some near-term productivity opportunities to help reduce cost, in many regards coal suppliers are working to survive the near-term market while preparing to capture future profits, when the market once again offers sustainable margins.